Insomniac CEO Ted Price is excited about next generation consoles but doesn't consider the Wii U one of them. 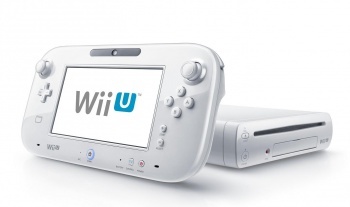 Nintendo's suffered a few setbacks in its efforts to bring third party developers to the Wii U. While it boasts support from companies like Ubisoft and Disney, there have been an increasing number of studios indicating that they're going to pass on developing for the console. Just Cause 2-developer Avalanche Studios recently said its Wii U dev kits were "collecting dust." Similarly, Battlefield-makers DICE have said its new Frostbite 3 engine likely won't run on the Wii U, potentially limiting future releases from the developer and publisher Electronic Arts. Now, Insomniac Games founder and CEO Ted Price has said the company is currently foregoing Wii U development. "We're not working on games for it," said Price, answering a fan inquiry during a Reddit Q and A session. Price expressed greater interest in next generation consoles. "When it comes to PS4 I'm excited that they seem to lowering barriers for independent developers. It's cool to see almost weekly announcements from Sony explaining how they're opening things up for indies. And of course I'm very excited to see what Microsoft announces soon." Price didn't count the Wii U in the category of next generation consoles. "Wii U is something I'd consider more current gen."
It's worth noting that Insomniac, the studio behind Resistance, Ratchet & Clank and the upcoming game Fuse, is only one company. That said, Price's comments highlight a problem Nintendo could potentially face more of in the future. With Wii U sales lower than expected and its user base still relatively small, developers might opt to forego development for the console. This may not be a live or die problem for Nintendo, which has often been able to rely on its stable of first-party games for success. That said, it could prove an obstruction to the company's efforts to court third party developers and expand the Wii U's beyond fans of its core franchises.